Chicago's Metra commuter rail line announced that hoverboards will no longer be permitted onboard its trains due to concerns over potential fire hazards related to the self-balancing, electronic scooters. The popular two-wheeled motorized scooters have been banned for transport by all major U.S. airlines, Amtrak and L.A.’s Metrolink rail system due to concerns over reports of fires thought to be caused by the lithium ion batteries used to power the devices. Use of the scooters has also been reportedly banned or restricted at more than 20 college campuses across the U.S. and from use on New York City streets. The U.S. Consumer Product Safety Commission announced in December 2015 that it has launched an investigation into the root cause of these fires. Just this week, the commission reported that it's now investigating 28 fires in 19 states tied to the motorized scooters. 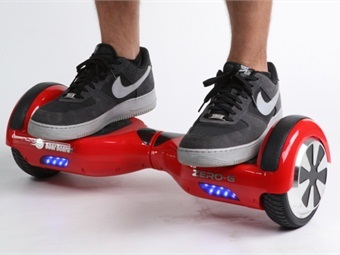 Effective immediately, onboard personnel who see anyone attempting to board a Metra train with a hoverboard in their possession will require that person to exit the train.